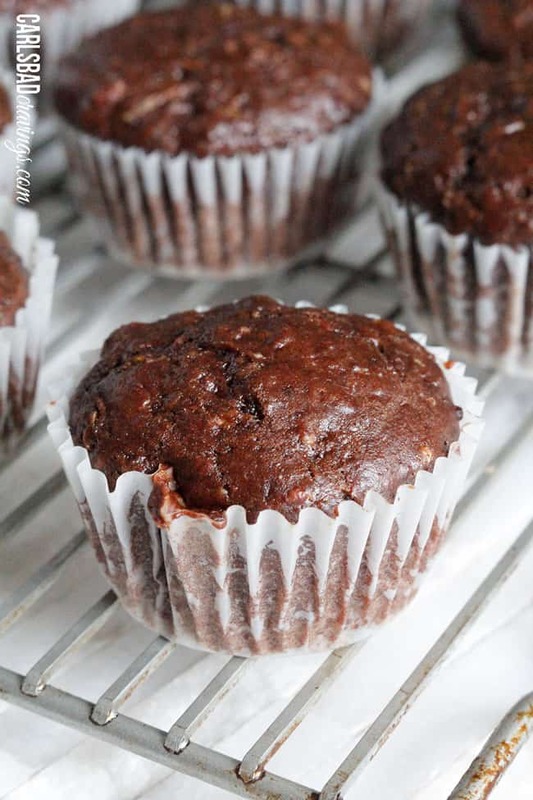 Chocolate Zucchini Muffins with DOUBLE the CHOCOLATE, ZERO added fat and a whole lot of yum!! This Chocolate Zucchini Muffins Recipe is baked with applesauce and vanilla yogurt that are crazy moist and chocolaty! You will devour these by the handfuls for breakfast, snacks and dessert – because you can! A while back, we sold our old refrigerator on Craigslist to the nicest couple. The wife learned I had a food blog so when they picked up the refrigerator, she brought me zucchini and a bounty of fresh herbs from her garden. Did I already say they were the nicest people?! I knew of a few recipes I wanted to make with the fresh herbs and zucchini (Roasted Garlic Vegetable and Lemon Basil Chicken Linguine!) and decided to make zucchini muffins with the rest of the zucchini. The more I thought about zucchini muffins, the more I thought about how I wanted them to be chocolaty, really chocolaty. Because, after all, how do you make Zucchini Muffins the BEST Zucchini Muffins? Make them Double Chocolate Zucchini Muffins! These Chocolate Zucchini Muffins are ultra chocolaty by using both cocoa powder and chocolate chips. You can even add more chocolate chips if you want to live on the wild side. I’ve also spiced them with cinnamon, and nutmeg so they have a dimension of flavor that;s palate pleasing without being overwhelming. I’ve also added pecans but you can skip them if you prefer but I love the added crunch. The word “zucchini” in baking, usually implies healthy, so I thought I would add the chocolate but take out the fat to make HEALTHY-ish Chocolate Zucchini Muffins. So while these muffins are not sugar free muffins, they are ZERO added fat zucchini muffins! Instead of oil, I used nonfat vanilla yogurt (I’m a complete obsessed of this yogurt all by itself) and unsweetened applesauce. The result of these Chocolate Zucchini Muffins is the most moist, most chocolaty, addicting muffins ever! I was eating them and eating them like a crazy person, I just couldn’t stop! I brought a double batch of these Chocolate Zucchini Muffins to a girl’s night and they were a hit! The kids loved them (pictured at the top of this post) and my girlfriends loved them, stuffing their purses with the leftovers. I know you AND your kids will love these moist, Chocolate Zucchini Muffins bursting with chocolate chips and pecans with zero added fat. What is not to love?! Go ahead, stuff your purse…and then your face. How do you make chocolate zucchini muffins? Grease 12 muffin paper liners. Shred zucchini with a food processor or handheld grater. 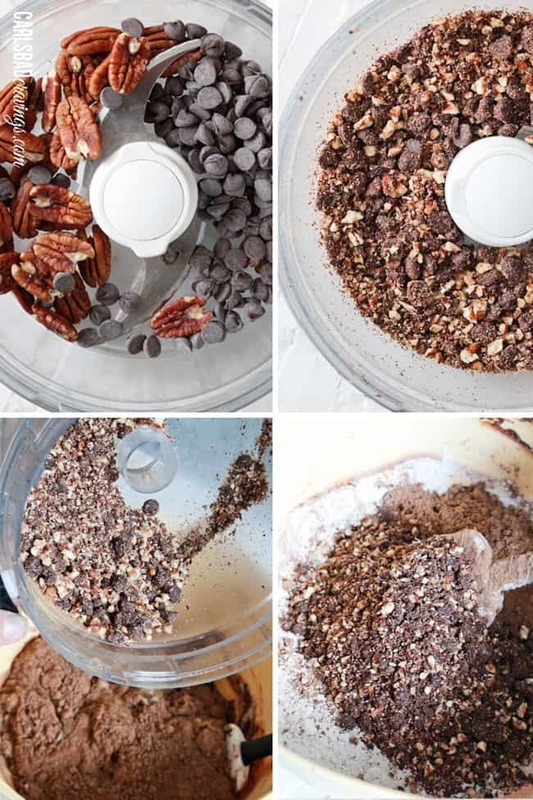 Chop pecans and chocolate chips with food processor or by hand. Sift Dry Ingredients into Wet Ingredients. Stir by hand until just combined, no more then 10 seconds – they should still be lumpy. Do not over mix! 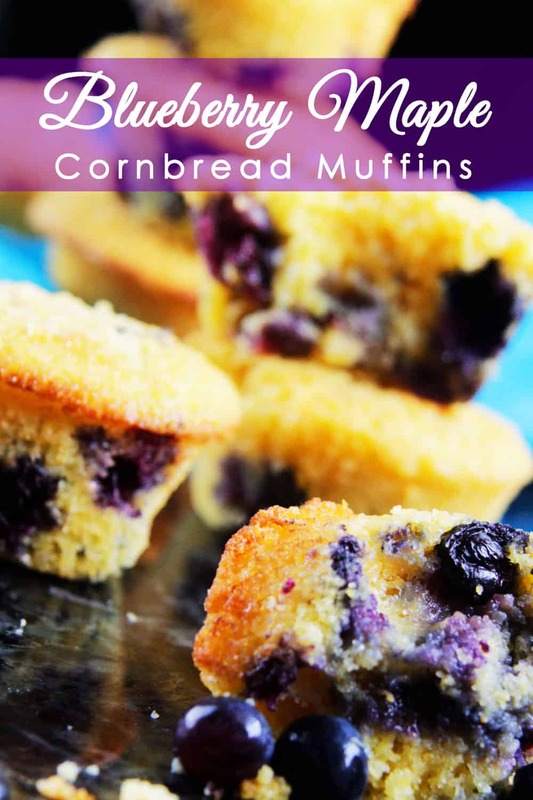 Fill up a muffin tin 2/3 full and bake! How long bake chocolate zucchini muffins? Chocolate Zucchini Muffins baked in traditional muffin tins (12 per pan/cupcake size) will take anywhere fro 15-2o minutes at 350 degrees. F. Muffins are done with a toothpick inserted in the center comes out almost clean. How do I Bake with Zucchini? Select small to medium zucchini. Large zucchini tend to be more dry and bitter with larger seeds – the opposite of what we are looking for. Small-medium zucchini are sweeter, boast more moisture and smaller seeds that disappear into the batter. Store zucchini loose in the vegetable drawer. Although zucchini typically aren’t refrigerated at the grocery store, you will want to store them in the vegetable drawer for 3-5 days to extend their freshness. Don’t wrap the zucchini in anything. Plastic wrappers of any kind can trap moisture and make the skin soggy. Don’t peel zucchini. You won’t even notice the outside of the zucchini once it is peeled an cooked, so don’t bother with this extra step. Grate zucchini finely. Grate your zucchini using the smallest holes of your cheese grater that way it practically disappears into the batter. You can also use the fine grater attachment on your food processor. Whatever you do, don’t chop your zucchini – it is very difficult to get it as fine as we need for silky Chocolate Zucchini Muffins. Don’t squeeze zucchini. You don’t need or want to squeeze out excess moisture from your zucchini because this moisture is needed for the muffins. The only time you’ll want to squeeze out some moisture is if you have shredded your zucchini in advance and it has released an excess amount. Gently mix. No matter what you’re baking, gently mix the dry ingredients into the wet ingredients just until moistened. Overmixing develops the gluten which results in tougher baked goods. 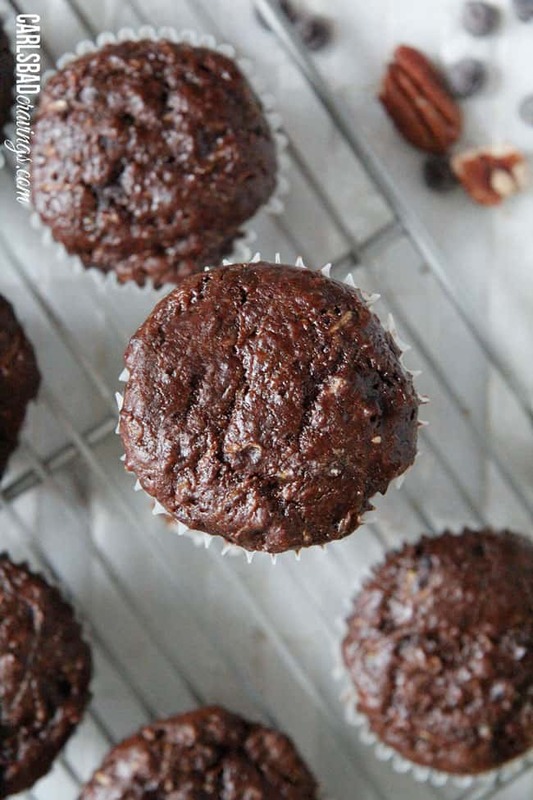 How many Zucchini do I need for this Chocolate Zucchini Muffin Recipe? This recipe calls for one cup of shredded zucchini which is about one medium zucchini. Can I grate my Zucchini ahead of time? Yes! If you grate your zucchini ahead of time, place it an airtight container with a paper towel on the bottom to absorb excess moisture. 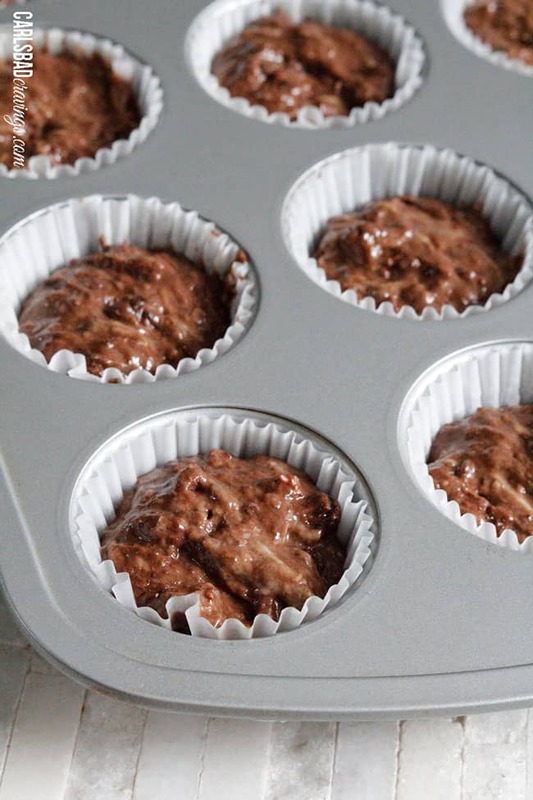 Refrigerate in an air tight container for up to 3 days before you’re ready to make your Chocolate Zucchini Muffins. adds healthy nutrients such as Vitamin B, C, K, Potassium, Folate, Riboflavin and on and on! your healthy baked goods won’t even taste like zucchini! When is Zucchini in Season? Zucchini is in season from June through late-August. This is when it will be the freshest and the least expensive. Most grocery stores, however carry zucchini year round, which means you can make these Chocolate Zucchini Muffins to satisfy those decadent chocolate cravings year round! Can I Substitute the Flour with Whole Wheat Flour? Yes! You can substitute the all purpose flour for all whole wheat white flour or a combination of half whole wheat, half all purpose flour. Can I Use Coconut Oil? 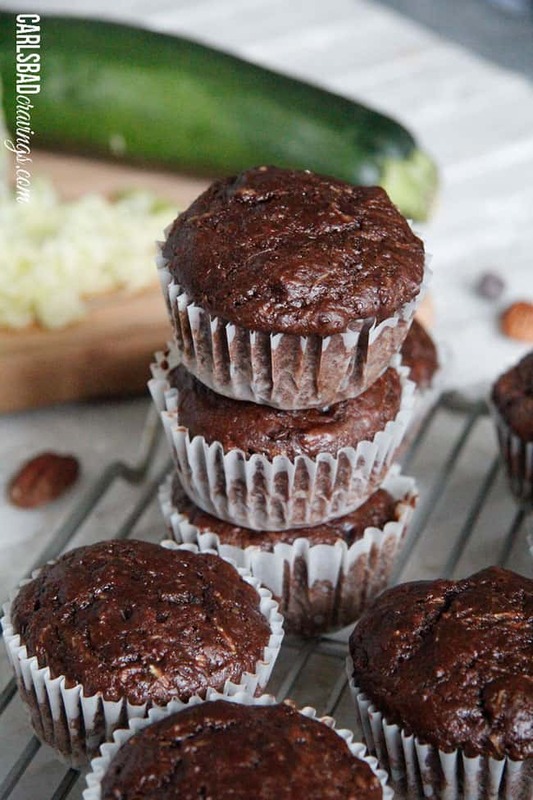 This Chocolate Zucchini Muffin recipe doesn’t use any oil, but if you want even more tender muffins then you may add 2 tablespoons coconut or vegetable oil to the Wet Ingredients. How do you store Zucchini Muffins? These Chocolate Zucchini Muffins can be stored in an airtight container or freezer bag at room temperature for 3 days. If they haven’t vanished by then, then refrigerate for an other 3-4 days for a total life of about a week. How do I serve Chocolate Zucchini Muffins? You can eat Chocolate Zucchini Muffins at room temperature but I HIGHLY recommend microwaving each muffin for 10-15 seconds or so so they are slightly warm. This makes them even more tender with softer pockets of chocolate chips. Can you Freeze Chocolate Zucchini Muffins? Let muffins cool to room temperature. Place on a baking sheet so they are not touching then freeze until solid, about 1-2 hours. Wrap individual muffins in foil then place them all together in a freezer size bag or or individual bags. Press out any air, seal and label muffins. When you’re ready to eat one, remove the foil and microwave from frozen for 30-60 seconds or until warmed through. 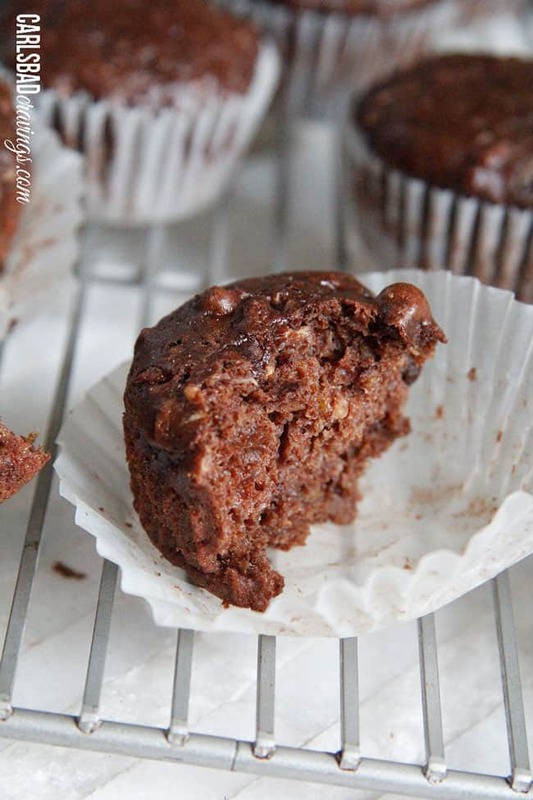 Chocolate Zucchini Muffins with DOUBLE the CHOCOLATE, ZERO added fat and a whole lot of yum!! This Chocolate Zucchini Muffins Recipe is baked with applesauce and vanilla yogurt that are crazy moist and chocolaty! You will devour these by the handfuls - because you can! Chop pecans and chocolate chips in food processor or by hand to your desired consistency (I like my pecans fairly ground). Set aside. Preheat oven to 350 degrees F. Grease 12 muffin paper liners. Whisk together Dry Ingredients in a medium bowl. Whisk together Wet Ingredients in a large bowl. Gently sift Dry Ingredient into Wet Ingredients and stir by hand until just combined, no more then 10 seconds – they should still be lumpy. Do not over mix! Fill prepared muffin cups 2/3 full. Bake in preheated oven until a toothpick inserted into the center of a muffin comes out clean, 15 - 20 minutes. *If you want to use wheat flour, I suggest using 1/2 AP flour and 1/2 wheat flour, even still, the texture will not be the same. 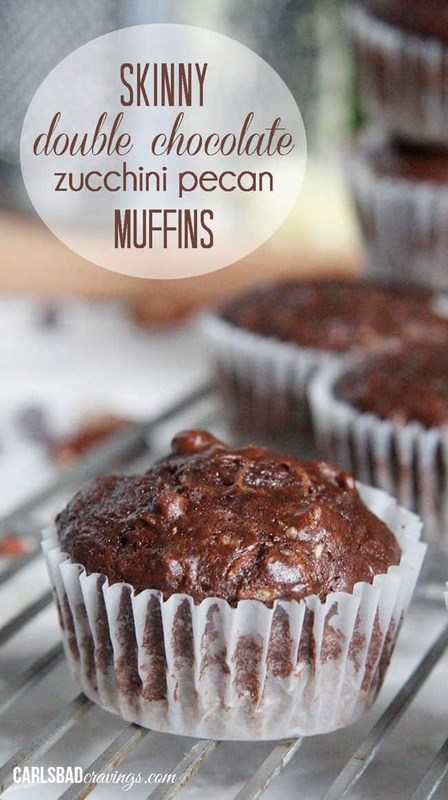 Want to try this Chocolate Zucchini Muffins Recipe? Pin it to your CHOCOLATE, HEALTHY or DESSERT BOARD to SAVE for later! Those look so good! I have zucchini in the house for once, but I have no chocolate. I bet my daughter would love these. I just had lunch but now I am hungry just looking at those delightful pictures! This looks so good! Do you think this could be good with gluten free flour? Thank you Chantale! Substituting gluten free flour usually works pretty well with muffins so although I haven’t tried it myself, I think they could definitely turn out well. Please let me know if you try them! 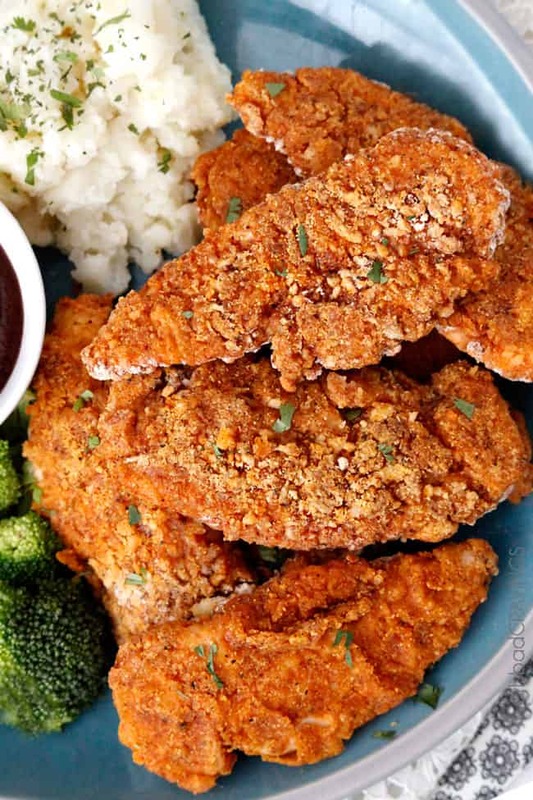 LOVE this awesome skinny recipe! Great job butting the fat and keeping all the flavor! I honestly don’t know which word in the recipe title I like most. My brain is on overdrive right now & I seriously cannot wait to make these! Ok, at first I thought what in the world! But it’s not much zucchini, so I guess the taste won’t overwhelm the chocolate! OH, just yum! Chocolate and pecan together are one of my very favorite combinations. I think zucchini would make them so very moist as well. There is too much goodness in this post, lol. Chocolate pecan is just absolutely yummylicious! And then the other links… Thank you! 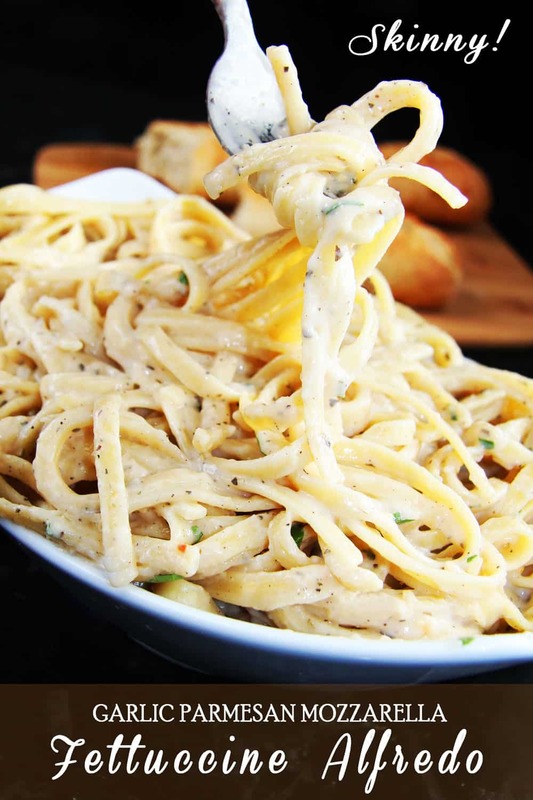 Just made this amazing recipe! I made it as a cake because I didn’t want to take the time to make cupcakes but it still turned out so moist and delicious I doubt it will last the night. I told T that he better enjoy the little piece I gave him because I’m going to eat the rest of it. heh heh. 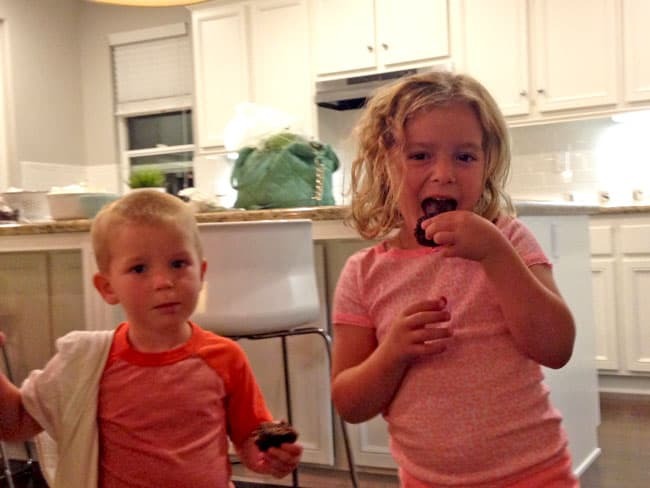 It’s nice to be able to give the kids a healthier dessert and have them enjoy it too. I loved the spices and pecans, which gave it a good texture and flavor – yum yum yum. Thank you! Do you have the nutritional info handy? Im interested in how many calories in each muffin. Hi Tina, I don’t have the info handy, but you can get it at http://www.myfitnesspal.com/recipe/calculator Thanks!